People are keen to buy a vacation home in the hills or to spent retire life very peacefully environment so the same one can find and spent good and quality time . 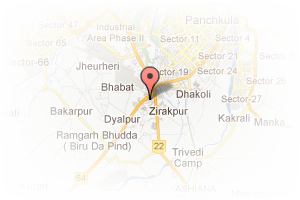 Address: dhakauli road, Kishan Pura, Zirakpur, Chandigarh, India. 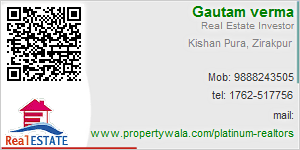 This Broker Profile page for "Platinum Realtors" has been created by PropertyWala.com. "Platinum Realtors" is not endorsed by or affiliated with PropertyWala.com. For questions regarding Broker Profiles on PropertyWala.com please contact us.